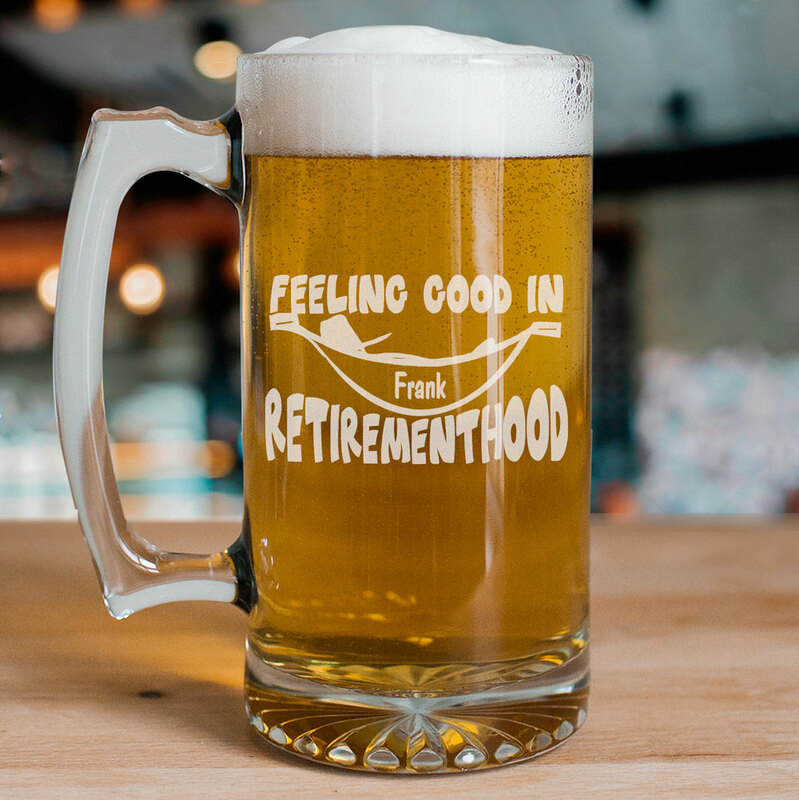 Now that work is finally over, you can look back and reminisce about the good ol' days all while enjoying this mug personalized with your name. Very nice etching BUT too big for drinks. I really wasn't too impressed with the lettering, you could barely see it. It is hard to find a good retirement gift for a man and this was perfect-even nicer quality than I expected and personalized very quickly. Would definitely order from co. again.